DUBAI, UAE, February 08, 2019 /24-7PressRelease/ — His Excellency Humaid Al Qatami, Director General of the Dubai Health Authority officially inaugurated MEDLAB Exhibition & Congress 2019 today, marking the start of the 18th edition of the show. The MENA region’s largest medical laboratory exhibition and congress, organised by Informa Exhibitions – Healthcare, will continue on the 5th, 6th & 7th February. More than 19,610 medical laboratory industry professionals and 678 exhibiting companies from 51 countries are expected to attend the four-day event providing an important platform for the MENA medical laboratory industry to build relationships with international stakeholders. Enabling companies to showcase progress and achievements in the sector, the show facilitates the exploration of new business opportunities in the global medical laboratory field. “MEDLAB 2019 features an increased focus on strategic plans for the medical laboratory industry in 2020 and beyond through scientific advancements, new technologies, and continuous review of quality standards and international regulations. Visitors of the show come in from more than 160 countries proving that MEDLAB is a truly international medical laboratory event focusing on the role laboratories have in shaping the future of healthcare,” said Tom Coleman, Group Exhibition Director, MEDLAB Series. With 11 conferences and more than 6,700 delegates and 120 international and regional speakers, MEDLAB Congress is the only multi-disciplinary CME accredited medical laboratory congress in the region. Day one of the MEDLAB Congress saw the launch of its inaugural Artificial Intelligence (AI) Conference. 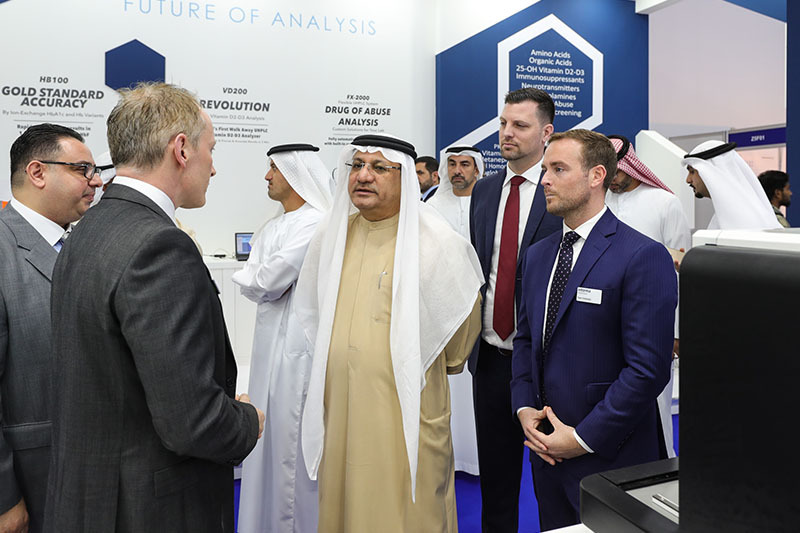 Exploring the potential for AI to transform the medical laboratory industry in the UAE through improved efficiencies, the conference also assessed how diagnosis can be revolutionised through futuristic technologies such as data robots and “bloodless blood tests”. MEDLAB is organised by Informa Exhibitions – Healthcare and is officially supported by the UAE Ministry of Health, Government of Dubai, Dubai Health Authority, Health Authority Abu Dhabi, Dubai Healthcare City Authority.